What are we now? After more than a decade since the fallout from 9/11, the “War on Terror,” the protracted invasions in Iraq and Afghanistan made us? How should we define ourselves? As a nation of wimps? Wusses? Punks? Pussies? I found out one of the most interesting facts about U.S. Gun Owners in of all places, a movie review. David Edelstein, the film critic for the New York Magazine, NPR’s Fresh Air, and CBS Sunday Morning, shared his thoughts on the new action movie OLYMPUS HAS FALLEN. He didn’t like it, but that’s not important. Part of Edelstein’s analysis was how amazingly effective the movie is at pushing the right buttons of its predetermined audience of males seeking solutions to their diminishing sense of masculinity. In fact, Edelstein went further into social science to pose a reason why we’ve seen so many dumb action movies pop up in the last decade. 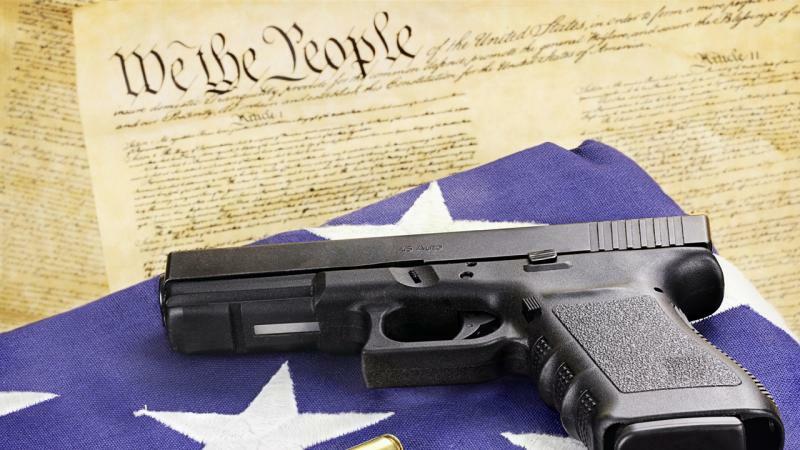 It was built on the foundation of a Pew Research Center survey from March entitled “Why Own a Gun?” Pew has been collecting data on gun owners and attitudes about guns since 1993. 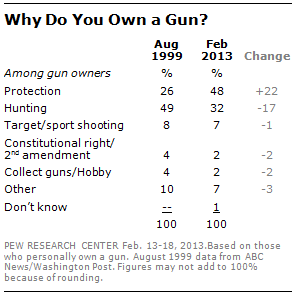 Among the results Pew reported was a shift in the reasons someone said they bought a gun. The graphic below shows there’s been a big shift since 1999. 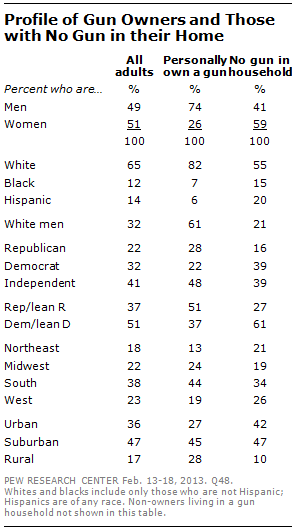 At that time 49% of gun owners said they purchased a gun for hunting purposes while 26% said it was for protection. Today, its the exact opposite with 48% saying protection is the number one reason they own a gun and 32% stating its for hunting. Damn! What I find particularly interesting is that the 1999 data is after a decade in which we had the Oklahoma City Bombing, two failed terrorist attempts on The World Trade Center, The Branch Davidian/Waco Raid, Ruby Ridge Incident and the Militia Movement, fewer people were afraid for their personal safety than today. If a large number of gun owners were afraid of the Federal government taking their guns away, then why didn’t it show up in the 1999 survey results? Now look at Pew’s 2013 results. In a world where we haven’t had an assault weapons ban for almost 10 years, where the World Trade Center was taken down by a terrorist attack, we have seen our Congressional leaders threatened with letters laced with anthrax or lone gunmen, where we were made to believe in the possibility of a chemical or nuclear attacks from Saddam Hussein, or whatever Kim is in power in North Korea, or the fear that Osama bin Laden might get his hands on a “suitcase nuke,” we find a greater number of gun owners fearing for their personal safety. So that makes the majority of current gun owners a bunch of pitiful scared babies. Today, personal protection trumps every other reason one can have for possessing a gun, in spite of statistics that show major crime rates going down nationally. Even Chicago, where the murder rate has been a big issue of late, has seen a decline in the number of murders over last year. Two last bits of data: The General Social Survey has been charting gun ownership since the early 1970s. They clearly show the percentage of the U.S. population that identifies itself as a gun owner has fallen from 49% in 1973 – roughly half of the nation – to 34% today. Moreover, thanks to Pew we know what the frighten little babies look like. Today’s gun owner is overwhelmingly white, male, a Republican or leans Republican, and most likely lives in a Southern suburb. We didn’t need Pew to tell us that, did we? So I ask again, are we now a nation of wimps afraid of our own shadow? Because the data seems to say that. Next Next post: Exactly who goes to a Comic Convention?